You can trust us with your important referrals. We have a great track record of success. We have the experience you are looking for. 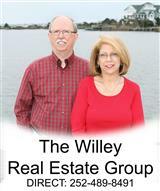 Plus we are very web-savvy real estate agents, which is important to the majority of homeowners today. Why send a referral to anyone other than the best? This only reflects positively on you. Grow your business. Your clients will be happy and this will lead to even more referrals for you, and at the same time you'll enjoy a greater percentage of your referrals turning into sales. Think about it.